Honorable mention: Beale Hotel and Hotel Brunswick. Both of these Kingman hotels need of major restorations. *The original Gadsden Hotel, built in 1907, was destroyed during a 1928 fire. 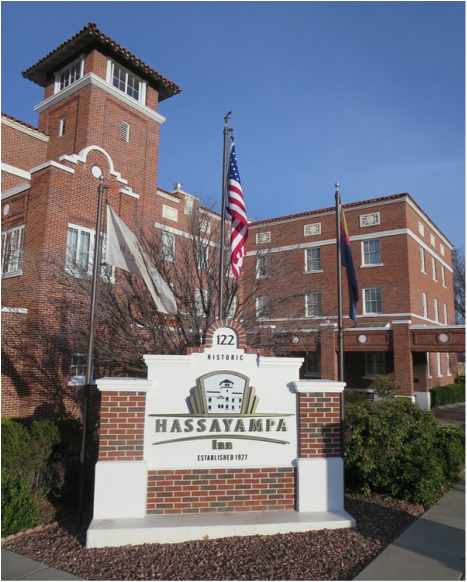 Hassayampa Inn was built in 1927 northeast of the courthouse square. 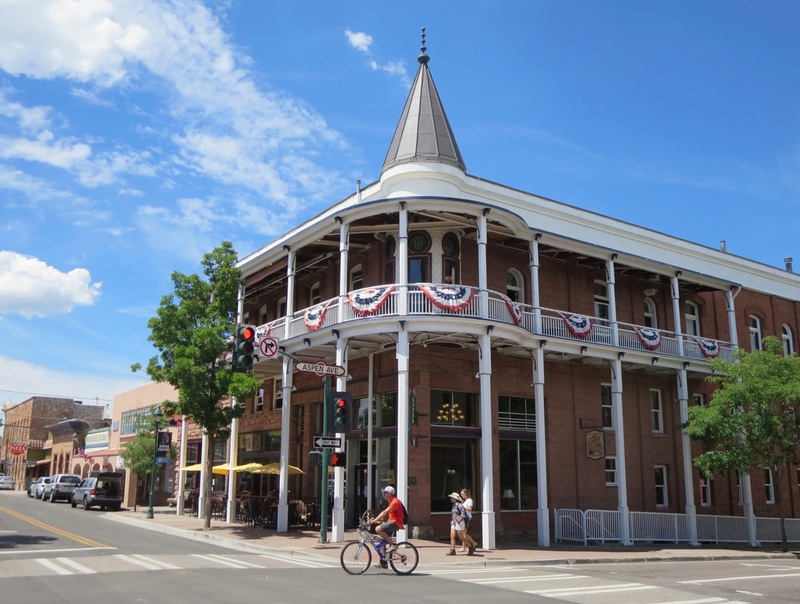 Flagstaff's Weatherford Hotel opened Jan. 1, 1900 when the town's streets were unpaved. It has been a hub of local music for more than four decades. 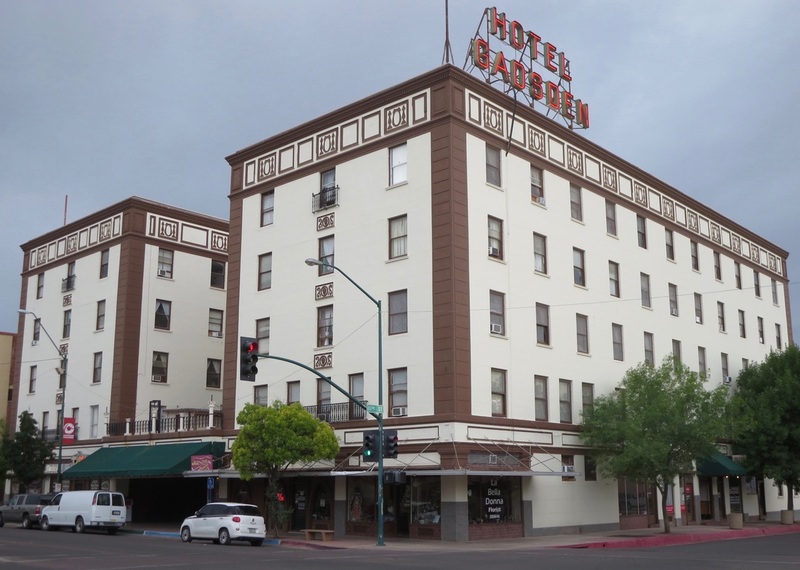 Gadsden Hotel was rebuilt in 1929 after a fire destroyed the 1907 building. Copper Queen includes a saloon and patio a half block from Brewery Gulch. 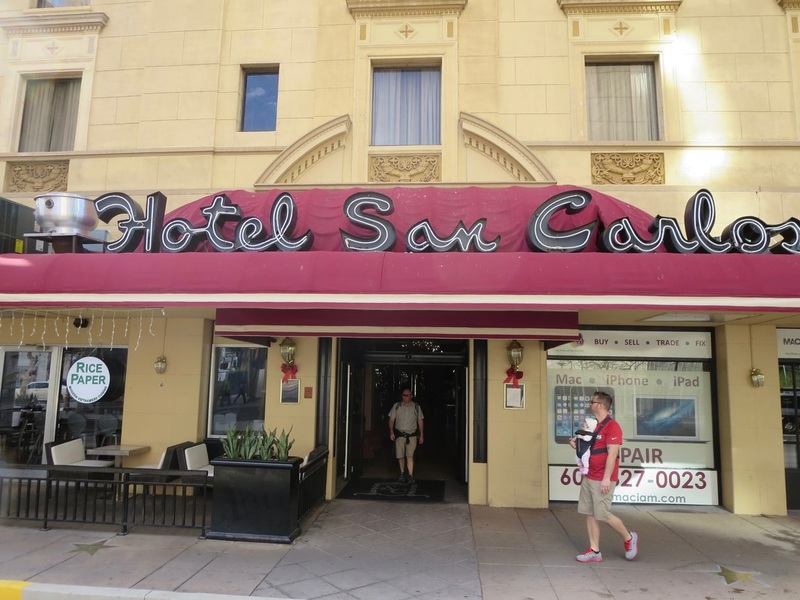 Opened in 1928, Hotel San Carlos was Arizona's first high-rise hotel with air conditioning. Owner Charles Harris lived in a penthouse atop the 7-story building. 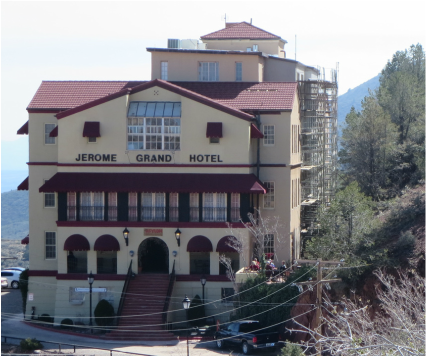 Jerome Grand Hotel was a hospital converted to a hotel in 1994. 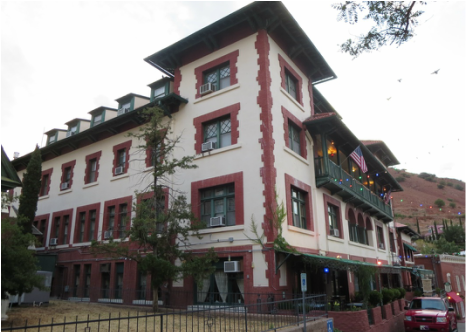 Grand Canyon Hotel on Route 66 in Williams is one of Arizona's oldest. 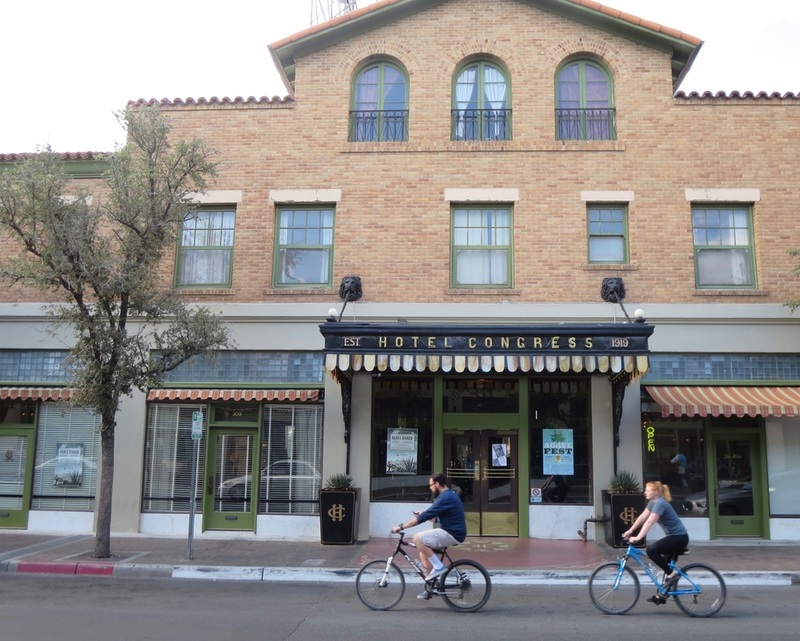 Hotel Congress played a key part in the capture of gangster John Dillinger in 1934 when fireman recognized him during a fire in the hotel. 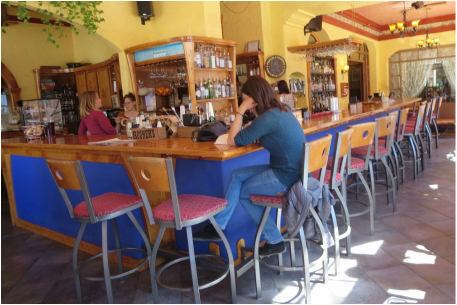 The Monte Vista Hotel's coffee shop and bar. 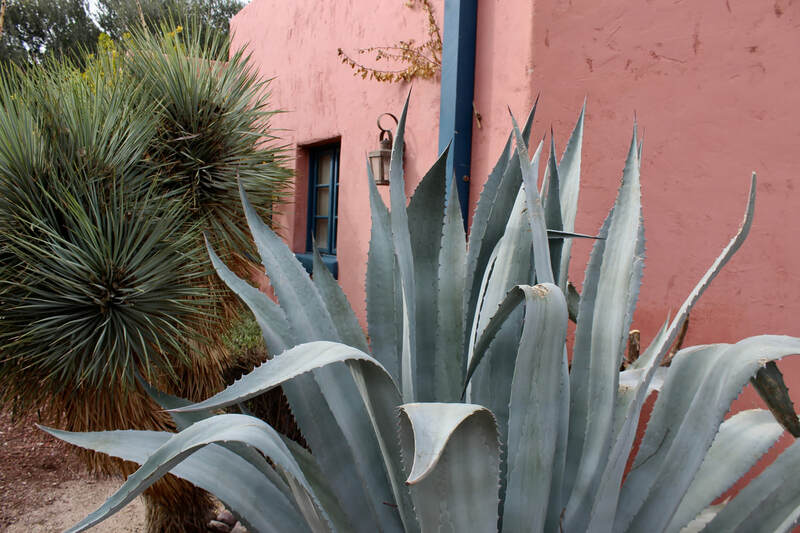 Arizona Inn has been hosting Tucson guests since 1930. 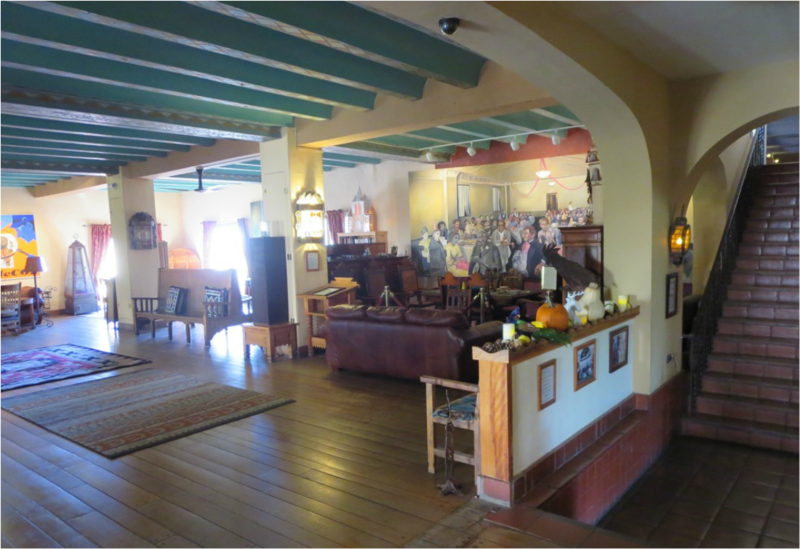 The colorful lobby of the La Posada Hotel in Winslow. It was a former Harvey House that served rail passengers until 1957.